I love burning candles year-round but Spring is definitely one of my favorite seasons for candles. Maybe it’s the crisp air still cool from winter that makes candle burning so appealing. It adds something extra to the home and the scent you burn really set’s the vibe. 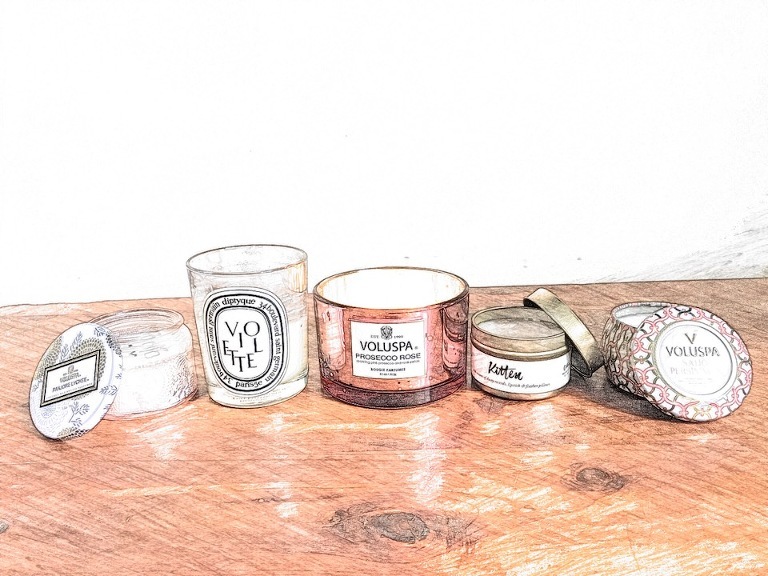 These are five of the candles I’m currently loving. This is my favorite candle by Diptyque. The scent has notes of candied violets and soft greens. This is one of my favorite candles by Voluspa. It smells strongly of roses. It’s very strong and fills my entire house within a couple of hours. This candle is very fruity and is perfect for when I need a pick-me-up. Similar to the one above, I burn it on days I’m feeling a little sluggish or not my usual self. This is my favorite candle by Catbird. It smells smoky, sweet and musky. I love it on gloomy days! Got a favorite candle? Share it below!